Around 9 months ago I finally had enough and made a huge change in my life. I was sick and tired of jumping from job to job trying to find my happiness knowing that it would never come working a “normal” job. I was depressed and broken thinking something was wrong with me. I remember thinking to myself “this cannot be what life is like”. I knew what I wanted, but I just did not know how to get over the fear and actually do it. Everyone questioned and doubted me when I told them I was quitting my job to start blogging full-time. It’s hard for most people to understand that making money on your own from home is actually possible. May 13th, 2017 was my final day working for someone else (it never gets old typing that). I can whole heartily say I have never been happier in life. It’s an amazing feeling waking up each and every day excited about “work”. I can’t explain the feeling of having complete control over my life. Everything seems to just “flow” so much better than it use to. I set my own hours, work from wherever I want, travel more and have more freedom than I have ever had. I am truly living out my dream. I might not be making the most money in the world right now, but I am literally just getting started. Blogging is definitely not a get rich quick scheme. It’s a legitimate business that takes a lot of time and effort to turn it profitable. But with that being said, anyone with a little grit and determination can make it happen. Affiliate marketing seemed like rocket science. The writing was not our favorite thing to do, especially with dyslexia! Comment below with your blogging questions! 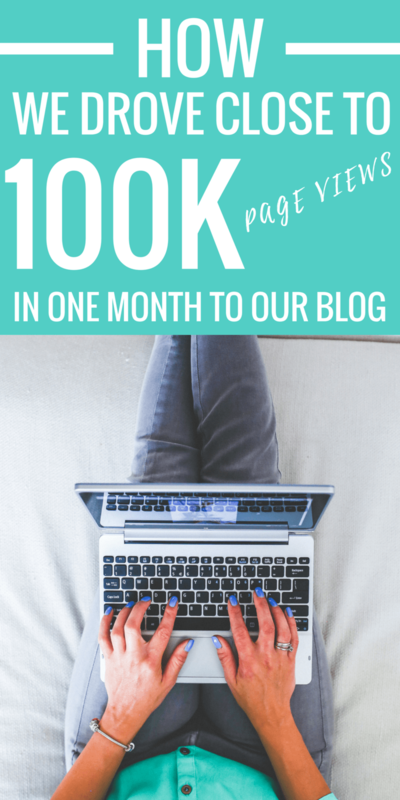 We absolutely LOVE our savvy readers and since you guys support us it’s only right to share our monthly blog income. I want to share my journey in chasing my dreams and going after everything I want in life. When I was first starting out I found a TON of value in reading others bloggers income reports, so hopefully, mine will do the same. If you are interested in starting your own blog we put together an in-depth step-by-step tutorial that you should totally check out. By far the easiest way we make money from our blog. We are currently using MediaVine as our ad network and they have been incredible. We had our best month as far as traffic which helped this number a bunch (almost broke 100k page views). This is definitely a passive income we get from our blog. If we drive traffic we make money, it’s that simple. Since our blog has transformed more into a personal finance lifestyle blog we have seen our affiliate income dip. We knew this ahead of time it’s definentally a trade-off. We would certainly like to see this number be higher. Our goal is to have a steady $1k-$2k in affiliate income each month. One of the things we are doing to try to improve this is only focusing on our TOP 10 affiliate companies. We are also planning on tracking our affiliate sales more closely so we know which ones to focus on more. Finally got our paperwork back from NYS! It’s been over 2 months since we applied for our LLC to start offering our digital marketing services. I am praying I can land my first client this month, wish me luck. We plan on offering local area business’s a variety of services which include content creation, social media management, Facebook ads, website maintenance, and more. This is another way to diversify our income. We are planning on adding a store to our site in the near future! I am so excited about this. You have no idea. When I was in college, I ran a $50k per year (revenue) e-commerce store through Amazon and I am excited to get back at it. We plan on offering items such as digital downloads, planners, calendars, and basically anything that can make your life more organized and simple. Join our mailing list below if you want to be notified when the store goes live. This was a great month for sponsors on our site. We ran a couple of campaigns for brands on our site and social media channels. This is a very easy way to make money from your own site. These sponsors took me about an hour of time, not a bad hourley wage ~$1,000 per hour. Just make sure you never work with any company that does not match your brand and meets your standards.Our readers mean the world to us so we would never put content on our site we don’t believe in. We know our readers trust us so we would never do anything to damage that. One of our favorite ways we make money from our blog. We offer 30 min. and 1-hour long coaching calls and they are SO much fun. Blogging can be frustrating, the learning curve is pretty big. Our time is limited so our pricing is not cheap, but we have helped many bloggers take their blog from 100-200 page views a month to well over 25k page views. If you are interested in learning how to drive traffic, grow your email list, monetize your blog, get freelancing jobs, or optimize your social media platforms reach out! 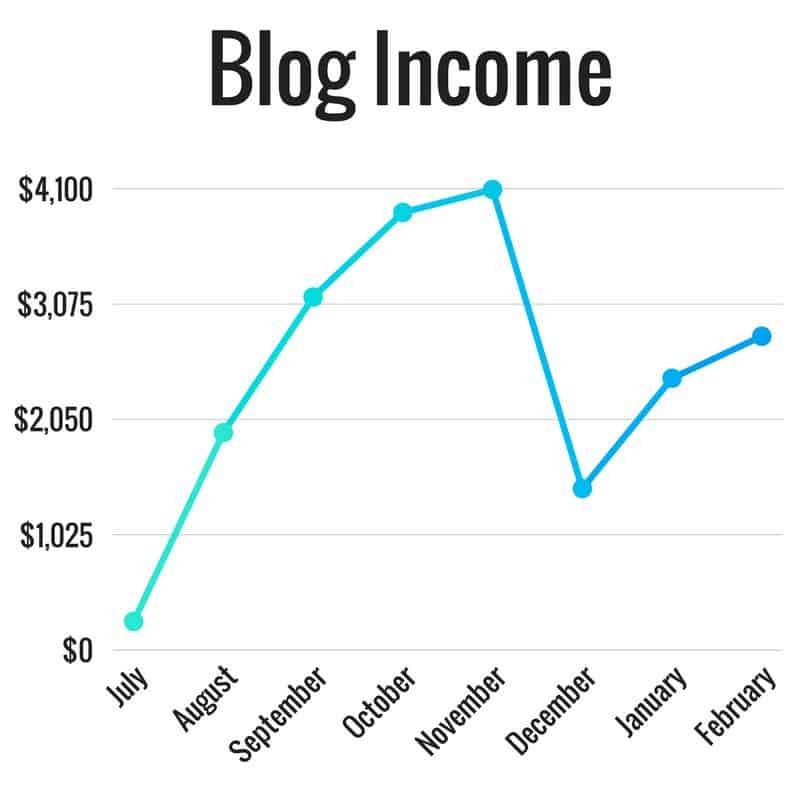 The awesome part about blogging is much of the income is passive. Yes, you have to put in a lot of work upfront, but once you get set up you can make money passively. We just took a week-long vacation in Hilton Head SC and money continued to be earned without us putting in any work. It’s a beautiful thing to have a business running 24/7/365! More than 250 people have taken our FREE 7-day email blogging course and we have received incredible feedback. We go over everything you need to know to start your blog, drive traffic, and earn your first income. 1. Making Sense of Affiliate Marketing ($197) – This was the first course we invested in when we started our blog. It was a big mistake waiting to take it. The instructor Michelle from Making Sense of Cents makes well over $100k per month from her blog! This course teaches you everything you need to know about monetizing your blog and driving traffic. We made our money back within a month of taking it. HIGHLY RECOMMEND! 2. The Perfect Pin ($47) – Pinterest is an absolute game changer for all blogs so learning how to make perfect pins is critical. Jeff and Ben from Dollar Sprout are great instructors and not only teach you how to make amazing looking pins, but they teach you their Pinterest group board strategy. This course is worth WAY more than they are charging. 3. Make Money Marketing ($197) – This was by far the most anticipated course we have ever waited for. Bobby Hoyt from Millennial Money Man is an absolute genius when it comes to monetizing your skills. The course teaches you how to monetize your blogging skills by offering digital marketing services to small business owners. We plan on this being a big part of our income in the future. 4. Facebook Side Hustle Course ($247 currently closed) – Bobby’s second course is for individuals to earn extra money without a blog. In this course, you learn how to run Facebook ads for clients and earn between $1,000-$2,000 per month with minimal time and effort. Totally worth taking if you are interested in making some serious money in your spare time. 4. Flourish With Facebook Ads ($399 – use code “Kelan50” to save $50) – This course is incredible! Designed specifically for bloggers to learn how to create optimized Facebook ads to drive traffic and convert sales. Monica is an absolute expert when it comes to Facebook ads. In our first month using the skills we learned, we had a campaign driving traffic to our site for $0.06 per click. Jump on this course before the price goes up again! Below is the monthly breakdown of our blog traffic and social media growth. This is another great tool we use to analyze our efforts and to ensure we are spending our time effectively. We are always chasing our best ROI. Get our first digital marketing client, we have been saying this the last couple of months but it’s been postponed waiting for our LLC formation. Another major goal we have is to get the groundwork for our online store set up (geeking out over this). Lastly, we want to finally hire a VA to take some of the routine tasks off our plate so we can focus more on growth. 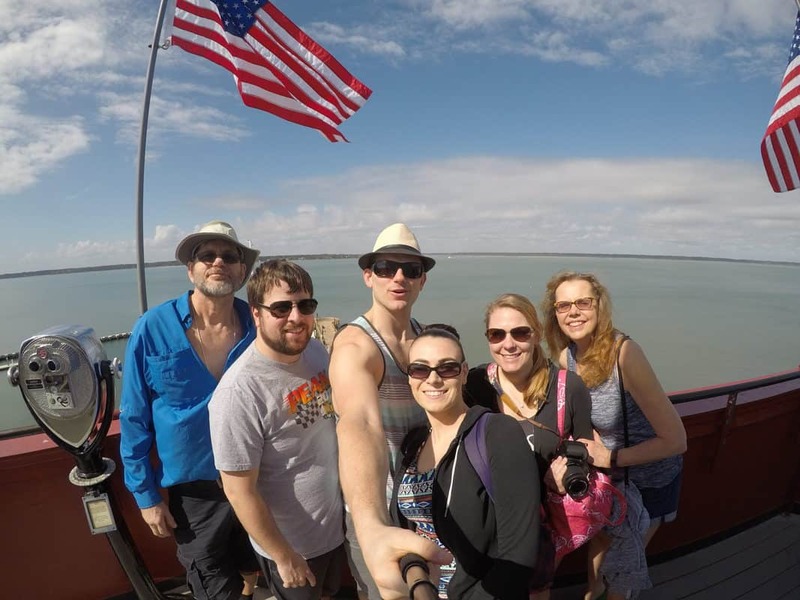 We had an incredible vacation in Hilton Head, SC with most of our family (sorry Luke, he’s still in college). This is the first time I barely touched the blog for an entire week. It was quite refreshing, but I missed it quickly! I am in the process of selling my 2011 Yamaha XT 250 on Facebook/Craigslist. I promised Brittany when we had our first child I would sell it, that time has come (Baby K coming July). We are going to put that money towards fixing our A/C unit that clunked out last summer. Obviously would rather invest the money but happy (pregnant) wife happy life right? We are still trying to stick to our $3,000 monthly budget. We underestimated our vacation expenses last month and went over budget a little. Sticking to this bare bone budget is helping us save and invest a bunch of our income. I am still only taking a $1,000 per month salary from our blog. I am flying to Colorado next month to go on a ski vacation with a couple of my BOYZ. Really looking forward to it. If you want to follow our Instagram account so you can keep up with our adventures. How did you have the courage to quit your job to blog full-time? Great question! Honestly, it was only a matter of time before I quit and started my own business. Originally I was going to start a home inspection business. 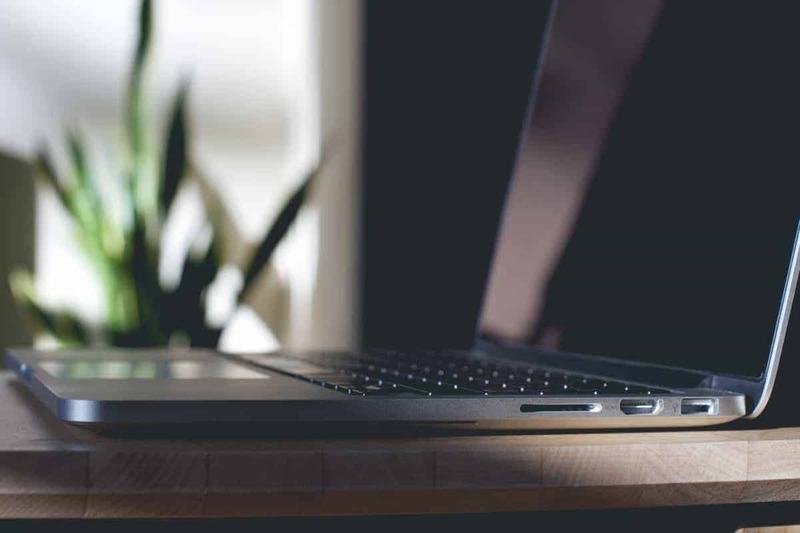 Once I started to see our blog grow quickly I knew that working from home would provide me with even more freedom so it was an easy decision. One thing that I tell anyone wanting to start a business is making sure you have a good nest egg saved up. Leaving your job and not getting a guaranteed paycheck every two weeks is scary! You need to understand that starting a profitable business takes time. Having a financial buffer to get you through the transitional phase was huge. We were able to invest money into our business to take courses, purchase themes, and buy blogging tools. Taking the leap of faith was easy for me. I have always been a very confident person so I knew it was only a matter of time before I was able to replace my income. Life is short sometimes you just have to go for it and take the leap of faith! Just remember a year from now, you’ll wish you started a blog today. Do you want to be stuck at the 9-5 job you dread going to, a job with little upside, working for someone else’s paycheck? I was wondering if you have a lot of expense running the blog? We see the income but I was looking to see the total profit you've made. Our expenses range between 10-20% per month. Blogging is a very inexpensive business to run. Always happy to see your success! We are just starting out, but really enjoy the process of building a business, learning, and connecting with others. It’s great motivation for us to see others achieving what we want to achieve. Keep it up! Thanks for the kind comments Steve. It’s great that you are enjoying the process. A lot of the time people think they will start a blog and instantly start racking in the money. Keep up your great work it will pay off!